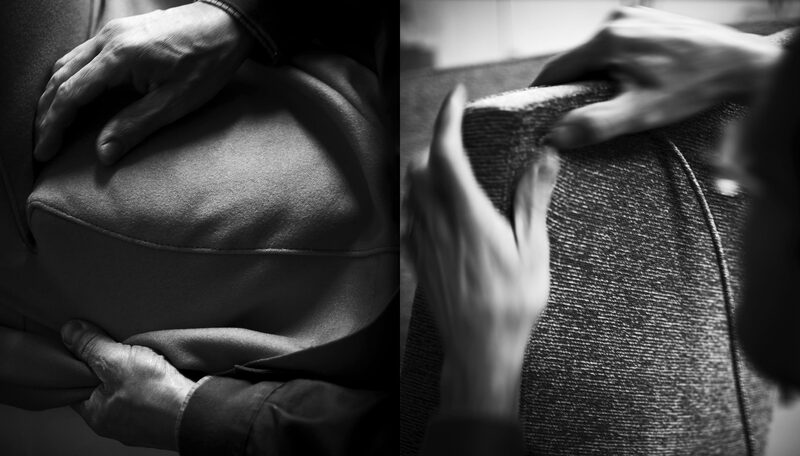 At Tacchini, hands were the first tool they learnt to harness, and they continue to use them to discern the quality and value of the materials, before transforming them, sewing them and combining them together: following ancient, knowing rhythms, retracing and honing history and memory. Doing things by hand means establishing a precise relationship between the object and its creator, a perceptible, visible transmittance of sensitivity and respect: and all this will be palpable to the person who ultimately possesses the item in question. A kind of ongoing relay between what our fingers can detect, in the folds of a piece of leather or in the curve of a frame, and the actual hands that have made those shapes possible. Design is central, set between before and after, a simultaneous translator between thoughts, actions and feelings: nothing that can age, everything that simply wears well. Natural warmth and technological innovation, manufacturing and care for details, safety and wellbeing. Concrete values you can find in every product and space. Quality represents a key element in design for Tacchini, it takes shape with materials selection and care for the manufacturing process. It goes on beyond the product, through trade and after-sales services reliability.